That's where the Money is! I’d like to say that business owners and managers have a good handle on this, but they don’t. In fact, I’m not sure they even devote much time to even thinking about it. But they should! Why – because such strategies effects not just their sales, but what is left after everything else is taken out. It affects their profits. And that is what we are all in business for, profits – to give us the lifestyle, freedom and comfort we desire. So I turned to Sue Barrett of Sales Essentials for some clarification you might find useful. Sue is a 'selling better' strategist and advisor, sales philosopher and speaker, sales trainer and coach, writer and activist. She is chief executive of forward-thinking sales advisory Barrett and online sales education and resource platform www.salesessentials.com. This week we thought we would touch on the differences between business, sales, and marketing strategies. This is because there’s usually confusion between sales and marketing strategies. To avoid confusion, it’s always good to look at definitions. Michael Porter defines strategy as the set of choices that define a company’s distinctive approach to competing, and the competitive advantages on which it will be based. business strategy, which determines how each business will compete. Business strategy is a high level plan to achieve business objectives. Beneath business strategy, sits, traditionally at least, marketing strategy. Marketing strategy is how a marketing team organises its efforts. It defines target markets, general value proposition, positioning strategy, offering mix, collaterals and how to reach clients so they know about the company and the offering. Marketing speaks to groups, and works with averages. There is also digital marketing strategy which can sit within the general marketing strategy, or next to it, aligning to sales and social selling efforts. Digital marketing can be the bridge between marketing and sales strategies. 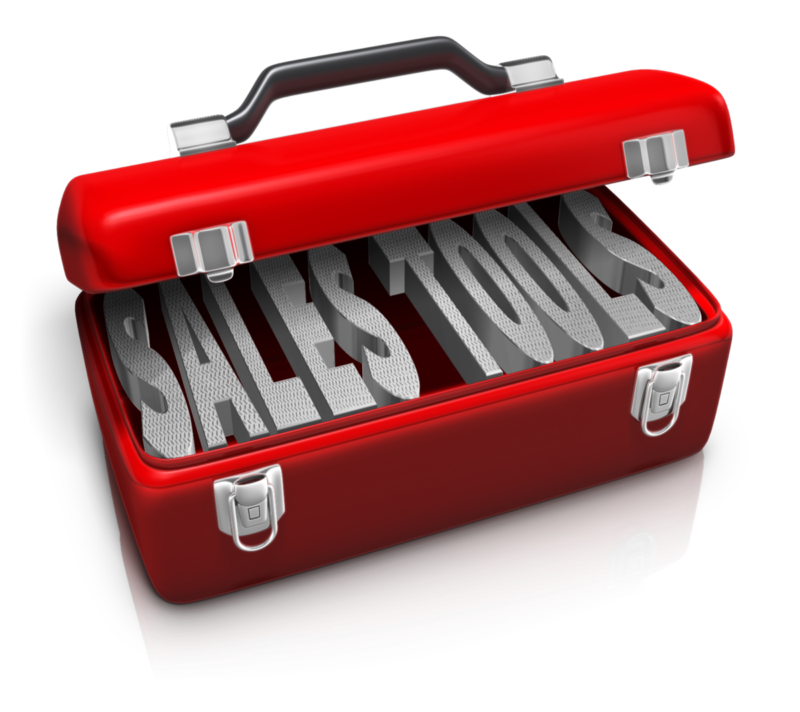 However, this is not enough for a sales operations to function at an optimal level. To achieve this, next to marketing strategy, and overlapping and working collaboratively, needs to sit sales strategy. Often confused with marketing strategy, a company’s sales strategy is the mechanism by which it determines its unique value proposition and how this makes the company’s offer relevant to each particular customer. It also includes how it will deliver that proposition to attractive sales segments where the business has some form of competitive advantage. These sales strategies are then deployed by the sales force in both business-to-business (B2B) and complex business-to-consumer (B2C) situations. Sales strategy is how the company organises sales efforts to go to market, who it’s going to sell to and how to create real value within the given market place with your customers. 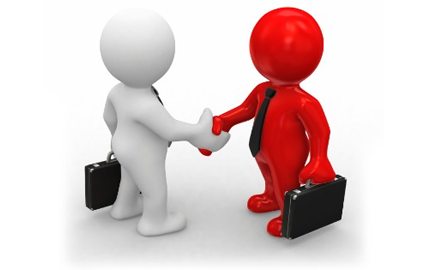 Sales is about one-to-one where the business becomes real for the client. Sales develops relationships and looks after individuals. Sales deals with the ambiguities and analyses the behaviour of the prospects and customers with whom they deal with on an individual basis. Sales strategy is what happens when the rubber hits the road. This type of planning is strategy and execution in one. 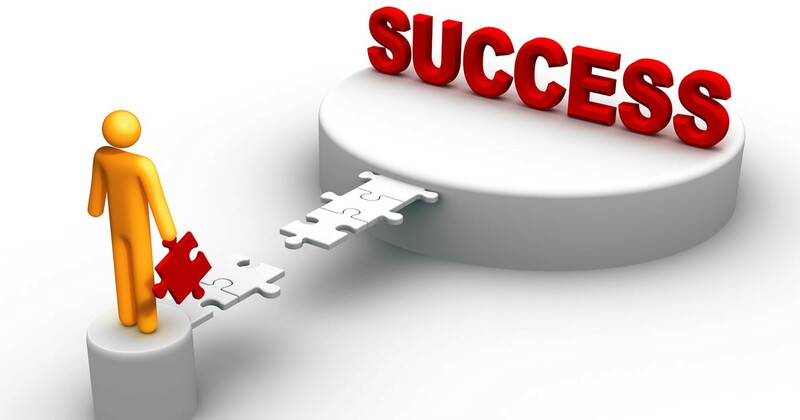 A good sales strategy minimises execution risks and sets up a path to follow to achieve the planned results. The goal of business strategy is profitable growth. Whatever ends up being the chosen road to get there, one thing is for sure: the business needs to sell. There is no business without selling. 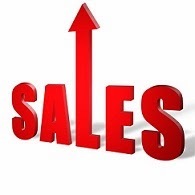 A sales strategy is what business do to sell well and achieve business goals. As strategy expert and Harvard Business School academic Frank Cespedes puts it: “you can’t do strategy without input from sales”. Here’s something else to ponder: in terms of business, we’ve all been brought up in the philosophy of competition. However, what if you could create uncontested grounds where you wouldn’t have to compete, at least for the foreseeable future? There are a number of valuable takeaways here. These are the takeaways for me – What did you get? Strategy is the set of choices that define a company’s distinctive approach to competing, and the competitive advantages on which it will be based. Marketing strategy defines target markets, general value proposition, positioning strategy, offering mix, collaterals and how to reach clients so they know about the company and the offering. Digital marketing can be the bridge between marketing and sales strategies. The goal of business strategy is profitable growth - but you won't get that unless you get your strategies in line. Are Your Marketing and Sales Strategies Performing? When clients approach me for coaching, so often they are not getting the clients they need, the right clients, or the sales they need at the margins they need. Eight times out of ten this comes down to not knowing what is working, and how to develop compelling offers for their customers. For more than 30 years I’ve been helping small business owners use the right tactics to plug the profit leaks in their business and restoring their cash flows by assisting them understand how to use the 80-20 rule to determine their most profitable customers, and to determine the offer to bring them on board. If you would like to discuss with me how you might do that, book a Strategy Consult here. There is no cost. © Copyright 2018 Adam Gordon, The Profits Leak Detective Except for all those bits by Sue Barrett. Are you losing valuable Gross Profits? In “When Quoting, is Price the Only Thing?” I suggested one of the worst mistakes you can make is to assume that everybody makes buying decisions based solely on price. MY friend Rashid Kotwal of Revealed Resources has a good tack on this. Take it away Rashid. When we’re buying something, it comes down to how much value we perceive and how much we’re willing to pay. Ironically this is also true when we’re selling our own consulting services. We’re bound by our own perception of self-value rather than what our clients are willing to pay. If you don’t believe me, look around at others in your field. Think bell curve, standard distribution. Most will charge approximately what you would for a given service. But there’ll be a few people who charge considerably less (which frankly in not sustainable in the long term), and others who charge multiples more than you do. Are the latter any better than you? Unlikely. So how come they charge what they do and get it? Two things. Their own self value is considerably higher. And they communicate their value in ways that having their clients agree and hence are willing to pay for. Couple of stories come to mind. Years ago I told a couple of clients to raise their prices. At the time one was charging $3,000 for a particular service and struggling to come to terms with charging more. We played a game. I kept putting his price up while asking him what his internal feelings were at each jump. i.e. What could he feel his value was given what he provided. We got up to $6,000 until he said “stop”. A couple of months later, he did put his fees up to $6,000 and no one batted an eyelid! He lost no clients and added significantly to his bottom line. Fast forward a few years and he commented he had a similar pricing/value issue with is new business partner. They went through a similar exercise and lo and behold, last I heard they’re charging over $9,000 for the same service and have become of Sydney’s leading consultants in their field. Another client has gone completely against industry norms of free initial consultations and now charges a significant upfront fee. We’d helped them realise the value they provided in an initial meeting should be paid for. And as with all our clients, they’ve steadily increased their fees over the years without losing clients. In fact, they’re in the enviable position of having a waiting list. All value has to first stem from between your ears. Your mindset and personal money thermostat will determine your business posture and what you feel comfortable charging. That quiet assurance will rub off on your prospects and lead to higher profitability. Now of course that’s only half the story. Your marketing and sales system has to reflect and communicate your value, or you’ll be the world’s best kept secret. Wrapping up, we can help you. Increase your personal money thermostat so you feel comfortable increasing your prices. Then helping you create marketing and sales systems which communicate that value so clients happily come on board. Thanks Rashid, that’s very helpful. When clients approach me for coaching, so often, they are not getting the clients they need, the right clients, or the sales they need at the margins they need. Eight times out of ten this comes down to not knowing what is working, and how to develop compelling offers for their customers. If you would like to discuss with me how you might do that, book a Strategy Consult here. © Copyright 2018 Adam Gordon, The Profits Leak Detective Except for all those bits by Rashid Kotwal. Why tendering is a pain in the ,,,,,,,! So said a respondent earlier this year to a survey I conducted on businesses seeking to win work from governments through the tendering process. As I said in “How to Improve Your Tendering & Quoting” there’s money in tendering. Governments, whether at Federal, State or Local levels are major buyers of goods and services. And they pay in a timely manner. That can be important to your business. Because I want to continue to assist small and medium businesses improve their success rates in tendering to governments, I surveyed a range of businesses to find out the issues that concerned them most, the biggest impediments to winning more business. And this is what I found! And there is a clue to where you should be working, but more of that when you’ve been through these comments. Here are some of their comments. Even these comments raise questions for me. A lot of hours into ticking boxes, getting quotes, time in collating. Time is a factor – you always need time to do well. We do a cost-benefit analysis of our decision to tender – discount the opportunity if we are not a front runner. Time factor, and lack of understanding of those assessing. Do they want a flowery response, or specific? One takes more time than the other. We have no redundant staff to do the submission. The alternative is to get someone to help. There is a cost to doing the submission. There’s so much time and effort in doing a tender, addressing the little things. Finishing it in time to have a break and review is inevitably difficult to achieve. For most SMEs, time is the biggest enemy. Time you could use for something else. And then there is stress! Stress – knowing that it is a lot of effort, yet you can lose 5 years’ worth of work if you don’t get it right. You feel the responsibility of getting the tender right. It is difficult when you put in the hours and hard work to develop a response, and don’t succeed. Tendering is a pain in the arse – horrendous. It is nearly impossible to submit a quality tender response. The amount of content is the biggest requirement and that is why it is important to cut and paste. In your answers you need to be aware of possible consistent misconceptions. So give more than a basic answer, give as much detail as possible. But that takes time. One respondent suggested they cut and paste to reduce the time and stress in supplying the content. And then there are the problems with the response requirements! They also seem to ask the same question, with small variations. A lot of questions in tenders tend to be the same, with some variations. You have to go back, look back and learn – put in the information that is relevant. It’s more than just copying and pasting. The underlying problem is that the Dept is understaffed, and can’t do the necessary work beforehand. The quality of tender requests they are writing. The people writing the tenders don’t know their subject matter. People writing the tenders don’t have the necessary skillset to do so. Their cut and paste is obvious, and not applicable. It takes them time to draft the response to our queries. Effectively we are helping them improve their tender, but we have to do so without getting them offside. How to be the good guy while implying they are idiots. Responding to queries which really are statements – “what you really should be saying is this!” They obviously don’t know what they are talking about. The lack of understanding of those assessing. Do they want a flowery response, or specific? The major problem appears to be that they don’t read the responses. We submit a profile with each tender, but the assessors come back with basic questions which have already been answered in the Profile. The Assessors didn’t really read the response. 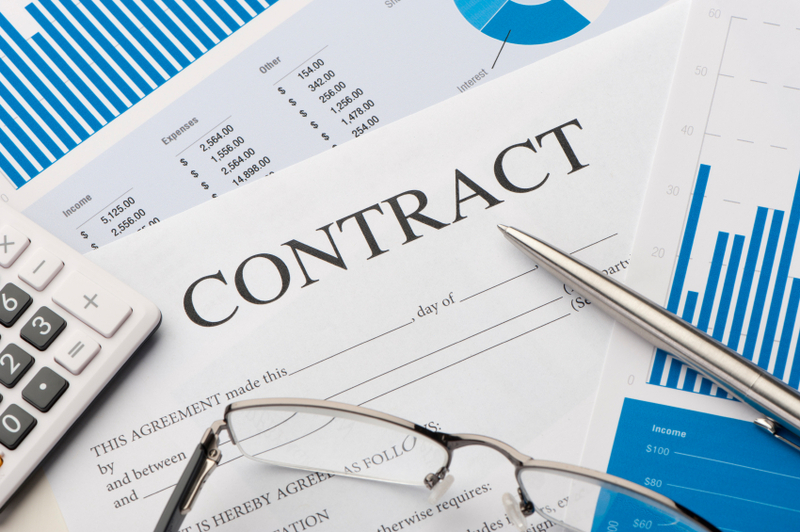 Inexperience on behalf of Procurement – they are not able to read or understand the response. Government’s technical ability to understand their tender (is limited). Once done, getting the first work (panel contracts)? And then there are the Ts & Cs. They are only interested in price – this governs all. There was no ownership within govt. The manager we reported to had moved on. The whole structure of the Agency our region has changed. Very bureaucratic. Not being able to demonstrate value – get value over the line in your response. You should reduce the time to submit a compliant response, by drawing on proven responses – templates. Winning the first one – that is the hardest. Getting familiarity with the process, being comfortable and systematic helps. CC says it’s a struggle every time, and he constantly reviews, looking for better ways of saying something. Build a personal relationship with the person calling the Tender. Learn how to communicate your story and services as clearly as possible. There is a lot to think about in these responses. Some came from very experienced and successful tenderers, others from less-experienced. But I was interested that the most experienced responded emphasized the need to keep on reviewing and improving. I had a chuckle as he is an old client who also told me I had worked myself out of a job by helping him improve his tender responses. There is one point I’d like to emphasise. There is little to be gained by seeking to win more by changing the way those on the other sides of the table go about calling and assessing tenders. Governments, and their bureaucrats are very hard to change. There is a great deal of inertia. More will be gained by working on those things over which you have control– how you respond. It’s a little like a SWOT analysis. Opportunities and Threats are outside your business, and you have little control over them. But you do have control over your Strengths and Weaknesses. So persevere, and keep on improving. I’d be interested in your experience, and the challenges and fears you face. What have you found, what are you looking for to help you, and what have you learnt? Let me know. I’m working on a new online course to help people transform their success rate in tendering, while reducing the time and stress involved, and would like to build your experience into the design of the modules. And if you would like to understand more on my approach to tendering go to www.catalysnt.com.au. You might like to download my freebie – “How to Overcome the 19 Most Common Mistakes in Tendering”. 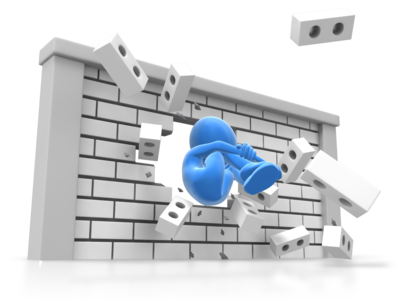 Are you hurtling towards a brick wall? Does Cash Flow Cause You to Lose Sleep? Recently I interviewed a small business person who was seeking some mentoring assistance. It was an unusual request, as this business exhibited none of the usual problems of a rapidly growing small business. Although only operating for three years, sales were increasing rapidly, it was profitable, cashflow was not a problem, but I am nervous. The owner manages via his bank account, seemingly without understanding that a bank account represents the outcome of decisions previously made, sometimes many months before. The only time the owner looked at his financial statements was after his accountant had finished his annual tax return. I’m very much in favour of regular monthly reporting, even if you are reporting to yourself. There is also the small matter of tax records being statutory reports, not management reports. The skills that lead you to set up your small business, to strike out on your own, are no longer sufficient to handle your growing business. Studies have found that lack of management skills is the cause of most small business failure, and that key elements within this in particular are a lack of understanding of finance, of marketing, and of management. Now that’s not surprising, as most small businesses are started on the technical expertise of the owner, not their management experience. Then there's reporting - the problem if you are not regularly looking at how your business is travelling, is that any one of those three elements can smack you in the face. If you don’t see them coming, it's hard to avoid that brick wall. And that is where regular management reporting comes in, reporting that covers not just what has happened in key areas of your business, but also lead indicators of future business. Cash flow problems are the ones that cause most loss of sleep. How do you pay your staff, how do you pay your suppliers, can you afford to buy in more stock, and so on. • Can you forecast it? • How do you fix the cash flow problem? The first of these I discussed in “Why you should do cash flow forecasts” and “How to do a Cash Flow Forecast”. Good cash flow management requires you to know exactly how much money is going in and out of your business, and is likely to be flowing in the period ahead. It will guide every decision you make. Keeping a close watch on cash is one of the fundamentals of business survival. My prospective mentee needs to think about this. Cash flow is not currently a problem, but it could become so, insidiously creeping up on him like a thief in the night. So let’s address the second issue; if you have such a problem, how do you fix it? The key action is to diagnose the cause of the problem. If it is left untreated, that profit leak has to be funded, either by your bank, or by your creditors (who are not getting paid). The latter is very dangerous territory in which it be travelling. Cash flow problems can be temporary, such as having to bring in stock or materials for a major project or event, the returns recovering the outlay. As I’ve often preached, it’s not the volume of Sales that is critical, but the volume of Gross Profits. And that depends on the market you are in. If the margins are appropriate in your market, then you need to look at why your sales are insufficient. I would add the entry of a major new competitor or disruptor into your market who pinches your sales. Margins being too low is the other issue. This can certainly impact on the volume of Gross Profits you generate. Margins are a factor of costs and price. You must generate sufficient margin to cover you Cost of Sales and leave some Gross Profit, and sufficient sales so that the Gross Profits cover all overheads and leave you a nice Nett Profit. I have had clients who had so little understanding of their costs that their Cost of Sales was greater than their Sales. The more they sold, the more they lost. Most small and medium businesses cannot generate the volume of sales necessary to survive on low margins. They need to have the margins that generate good profits at their likely level of sales. And that means concentrating on value. Unless my potential mentee makes some changes, I suspect he will hit that brick wall, and damage it causes will be evidenced through cash flow problems. Are you running into a brick wall? When clients approach me for coaching, so often they are not getting the clients they need, the right clients, or the sales they need at the margins they need. Eight times out of ten this comes down to not knowing what is working in their business. © Copyright 2018 Adam Gordon, The Profits Leak Detective Except for those bits by Greg Chapman. How to Make an Offer They Can't Refuse! “No business buys a solution for a problem they don’t have.” So said Seth Godin. That’s understandable. No one goes out looking for something if they don’t have a want or need that has to be satisfied. But having a prospect looking for something you offer doesn’t mean you’ll get the sale. You have to do more than that. And you may provide clients with excellent customer service, but many of your competitors will make the same claim. It is a reality of life that those who make the most money in any field, industry, or profession are not necessarily those who have the most knowledge, are most experienced in their craft, or sell the highest quality service. What this means to you is that it's not enough to be good or even great at what you do. You have to be great at convincing others that you are the one they should hire instead of your competitors. As an example, here’s a study undertaken at the University of California (LA) where groups of students negotiated over a pile of money. They were told observers would measure their negotiation skills. Beforehand, one student was secretly instructed to try three different negotiation tactics with three different sets of students. With the first, he demanded all the money and wouldn't budge. With the second, he made a reasonable demand only slightly in his favour. With the third, he made the extreme demand and then backed off to something more agreeable. Guess which group gave him the most money? In every test trial, the third group was the most generous. (b) The third group who felt like they'd brokered the concessions and controlled the deal were actually more satisfied with the outcome -- even though they had foregone more of the money. Why? Because they believed they had controlled the deal. They were played by reciprocal concessions. Anchoring is an idea about how to set a frame of reference for a number or an idea. It's used most often when you introduce a product price, in the close of a sale. And then mention your price, which -- of course -- is lower. By comparison, the price will look small. "If that's too much," you're saying to the customer "how about this?" Knowing, of course, that the "this" you wind up with was what you were hoping to nail as the final price all along. "To get the same kind of service from a top-level pro, you might pay $1,500 for a three-hour consultation. That's what I've charged my private clients for years..."
"And frankly, it's well worth it." "But I know this is new. And I know, from where you stand, it takes guts to be a pioneer. So I've set the launch price at just $749. That's a great deal. "However, let me do you one deal better. "For the next 24 hours, you can grab an early-bird discount of just $499. "And there's only one catch: To get that price, you HAVE to let me hear from you by midnight. Make that deadline and the steep discount is yours." You get the idea. And note the use of “Urgency” to help close the sale. Sure, you could always just start by mentioning the lowest price you'll take. And maybe it will still feel too low, compared to what you're offering. Then again, it might not. Test it. Try starting with a big price. Or even just a big number, even an unrelated one, before you mention a better bargain deal. Maybe even try knocking the price down twice after you set the initial anchor in place. Not only will you be more likely to get the sale, you might also get a customer who feels a lot more satisfied for getting such a good deal. Sometimes you see the same technique used by comparing the price to the cost of a daily cup of coffee. Now I’ve railed against discounting many times, including in my last post, but it can be used strategically, and cleverly. I’m indebted to Dr. Greg Chapman for this example. It also uses anchoring. Everyone (including me) says discounting is a bad idea if you are using it as a way to increase gross profit through sales volume. For example, if your gross profit is 30% and you offer a 20% discount, you will have to double your sales, just to break even. It also creates a reputation for your business that your prices are negotiable. Not a great strategy. Most people discount when they see their stock just sitting on the shelves and then they panic, but what if you planned to discount from the start. Let’s say the product cost you $30. Keeping the arithmetic simple, you decide to sell it at $100, a 70% margin. You don’t expect to sell many at this price, perhaps 10% of your overall sales. Next you decide to announce a 15% discount to your customers as part of a ‘mid season’ sale. You expect to sell 30% of your stock at this price. Remember, by having priced it at $100 initially, the 15% discount seems like good value, with the initial price being an anchor point. Finally, you offer the product at your ‘end of season’ sale at a massive 40% off where you expect to clear the remainder. Of course, at this price, you still have a 50% margin and over the whole season, you have achieved a 58% margin. Does this strategy create a reputation as a discounter? Not if there are ‘good reasons’ for the discounting which don’t include ‘you can’t pay your bills’. Such reasons might include a new model or end of financial year sales. The discounted value is relative to the significantly higher initial price that you set as a reference point. Your focus is on achieving the average price target you have set, and discounting is the tool you use to achieve it! One things is for sure, if you can’t sell your product or service, you don’t have a business. As the old saying goes “business is what, if you don’t have, you go out of!” Michael Masterson said in 'Ready, Fire Aim’ your primary concern has to be making sales. Even if you have a good product or service – one that is in demand – you can’t force people to buy from you. Sales occur when you have a transaction. Marketing is getting them to that point. Michael Masterson ties marketing to cash flow, and hence your bank balance, very well. You must continuously offer them new and better products. You must always make the value proposition of your sales seem good to them. Here are 5 Tactics to get into the minds of your customers! Emphasise how valuable your product or service is in terms of time and not just money. We all know price is important, and your prospect won’t buy if they don’t see value in what you are offering. Lowering the price can change the prospects perception of your product; it becomes seen as a cheap, a commodity. Beware the dangers of discounting, about which I have often posted. 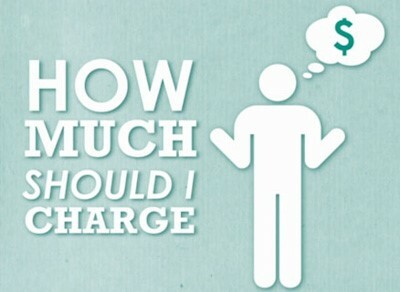 Are you Making these Pricing Mistakes? In many cases, what sells is time. We all want more of it, to make the most of it, or to minimise wasting it. When you market a product as an experience, or a better way of doing something, a customer will be far more likely to spend some extra cash. What kind of experience, solution, or improvement are you offering? What differentiates your experience, solution, or improvement from what your competitor is offering? We all like to feel part of a group, people with similar attitudes, beliefs and actions. Research suggests how we connect and relate to others and the world around us affects our buying decisions. We act in accordance with the groups we commonly interact with like our family, friends, and business associates. They can make us feel part, or not part, of something. And to be part of that “something”, people buy accordingly. You may recall how Apple pushed the concept of being “cool” to win over a younger market segment, and suggested IBM products old and stuffy. What reference group is your target customer a part of? How do they dress, where do they shop, what do they buy, even how do they talk? Is your product or service part of a comparative group – apple vs IBM? If so, how do you make your customer feel better by being partof your ‘tribe and not your competitor’s? You may have noticed a lot of offers like this, but not necessarily understood why the tactic being used works. Studies have found that people are much more likely to buy again once they’ve first made a small purchase. Once you have got a small “Yes” from the customer you are more likely to get a larger “Yes” the next time. That’s why you see the “Follow-Up” offers. It is also why it makes sense to look after your customers, provide great service, and keep them, rather than continually churning through customers, looking for the next customer at the expense of the current customer. See How to Increase Sales from Existing Customers. Offer something small that your customer will find valuable, such as a free (or inexpensive) ebook, guide, free samples, or a trial membership. The customer will feel like you’ve already given them something of value, so they’re more likely to reciprocate in the future with larger requests. I have read that you have to be careful not to offer the second, larger request too soon, though, as the second offer can backfire if made without delay. Having said that, I do note many offer an upgrade before you leave. Decoy marketing is when you highlight the offer you’d like the customer to purchase by offering other options look inferior in comparison. The decoy technique works because consumer decisions are swayed by compromise on the options available. Consumers feel they’re getting the best deal when they have to rationalise against comparable options. This technique is employed almost everywhere you look, from food to electronics. There are two wines for sale at dinner: $12 a bottle or $18 a bottle. Which one do you order? Now, imagine that there are three, and the third is $44. Are you more likely to buy the $18 bottle now? Most people are. The third bottle will undoubtedly be a better wine than Bottle1 or 2. However, unless someone is looking to really impress they’ll feel the Bottle 3 is excessive and will go for Bottle 2. If only the cheapest and most expensive options are presented, most consumers will choose the cheapest. If someone does go for the most expensive decoy option, think of how you will provide added value to justify their decision. Competition is almost always a good thing, and marketers can create it... or highlight it. To persuade people, change their frame of mind by giving them a different anchor point. And they’ll decide in your favour. Emphasise the product or service option you would like customers to purchase by offering similar but less desirable options next to it. Offering the same product or service in a positive light is a powerful tool. Studies have found that you are more confident in your buying decisions if you don’t perceive any drawbacks. Likewise, if you have to think too hard about how something could benefit you, there’s much more cognitive dissonance when making a decision to buy or not. Essentially, the path of least resistance makes us happy. A basic example would be giving two people $50. Participant 1 gets $20, but you give them an extra $30 for a total of $50. Participant 2 starts with $70 but you take $20 away. Guess which participant would be happier? When there is certainty that we have something to gain, the decision is made for us. We won’t gamble with the outcome. We see this tactic employed everywhere from the “buy 1, get 1 free” promos in supermarkets or 50%-off sales in clothing stores. Similarly, if a proposition is framed in a negative light, we will risk certainty to gamble and hope for better odds. An example you may have seen is when an insurance company tries to get you to switch to their plan by framing it as wasting dollars with the other company. Present your offer as a no-brainer option that will positively influence your customer. Which of these tips will work best with your product or service? Are you consciously using such tactics in your marketing strategy? Let me know. © Copyright 2018 Adam Gordon, The Profits Leak Detective Except for those bits by Mirasee. I’ve been looking at the key attributes of a profitable, growing and sustainable business following a challenge from a tradie who had bought a business and suddenly found himself a Managing Director. He was overwhelmed, and not sure where to start. What advice could I give him? I took the view that he needed to understand the key attributes of a good business as a whole, rather than just have important individual skills. The latter will help you run a “self-employment” company, but not necessarily build a business. Now to discuss the final two “Must Haves”. “The road to success is paved by good information.” You will make better decisions if you are informed on a regular basis by the facts regarding your business finances and a few other key indicators that measure the health of your business. All the good businesses I have seen over a lifetime have a good (i.e. accessible and accurate) Management Information System that gives them the information they need to make sound decisions. These Management Information Systems report on a regular basis. Their owners have identified a limited number of Key Performance Indicators (KPIs) that are critical to their business. Information is provided in an easy to understand basis; often graphical because many people interpret information visually. Such businesses take one further step, one that is easy to bypass, but that makes all the difference to turning data into information on which to make decisions. They ask “Why is it so?” and report on it. A typical couple of KPIs for trade-based businesses may be the number of quotes submitted and their Success Rate. They are important lead indicators of future cash flow. 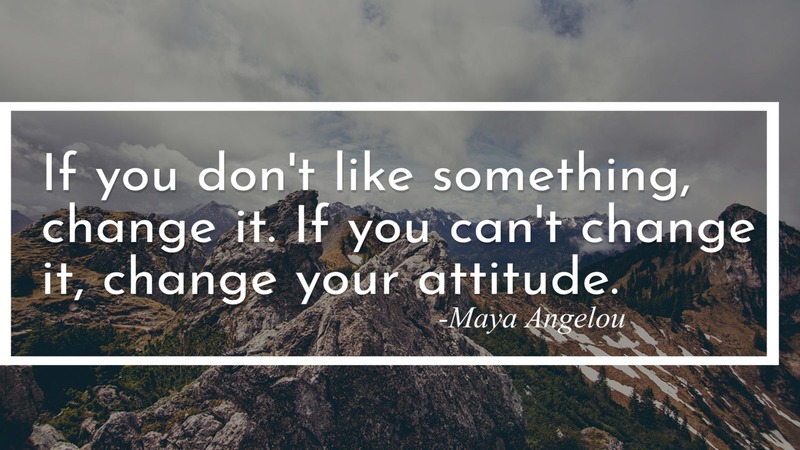 If there are changes in either it is important to know “why” in order to make the right decisions. An attribute of a good business is that it makes good decisions. It does so because it has ready and regular access to the right KPIs. Good businesses keep getting better. They do so because they are continually looking to benchmark themselves against other businesses, not only in their industry but also against those who perform well in other industries. Guided, if not goaded by what they find, they work on all their key processes, only one or two at a time if necessary, to ensure they can deliver faster, cheaper, easier to their customers. Improvement is a constant series of small steps that compound over the year to make a real difference to their operations. Continuous improvement is practised, by definition, continuously. It’s a good discipline, but sometimes it isn’t enough. When might you need something different, what Alastair Drysdale (www.akenhurst.com) calls a discontinuous improvement? Discontinuous improvement can be dramatic, but it can be safer than continuous. In times of rapid change, continuously improving something which the market no longer values may be the worst possible thing to do. It doesn’t have to involve a leap in the dark, and like continuous improvement need not be expensive to undertake. It is almost certain there is already a profit leak in your business if you find an opportunity for a discontinuous improvement. If my tradie works on developing the attributes of a sound base (direction and capitalisation), prioritises acquiring customers, sets up and uses a good Management Information System to make sound decisions and practises continuous improvement he will not be overwhelmed by his new business. He will build a good business. How do your “Must Haves” Rate? We’ve been looking at the importance of presentation to your tender, quotation or proposal and what you need to master to turn it into something almost irresistible. In Part 1 I looked at “why” presentation is so important and how it reduces risk in the Assessors’ minds, makes you look professional, and reduces the emphasis on price. We covered the first of four aspects of a good presentation - Clear Writing. Let’s move on to the other three; formatting, writing style, and the use of photos, charts and diagrams. Good formatting in your response can have a significant impact on your assessment score. Formatting affects how easy a document is to read. If it is hard to read, the mental reaction is negative, and this can affect your score. If it is easy to read, then your communication will communicate. Formatting is important. If you would like to read more on this go to “How Well do you Present your Case”. Begin each section with the relevant aspects of your value proposition for the subject and the benefits you will bring the customer. Instead of...Moving your money now will help you avoid major losses. Try...You can avoid major losses IF you move your money now! Put benefits in the sub-heads so the reader will read on. Fewer words – don’t use two words where one will do. Most of us use too many words. Part of that is a function of time. Editing for brevity takes time, but brevity makes reading easier. A few, yet perfect words. That's what powerful writing is about. Just the right words. No more than necessary … but always enough to persuade. Details and specifics, not generalities, are the foundation for credibility. That doesn't mean overburdening the reader with so many details that his attention starts to drift. Or that he puts down your submission and decides to read it later. Or worse, gives up on it entirely. It means understanding how much is really necessary … and how much is too much. Avoid long-winded expressions, for example, ‘due to the fact that...’ or ‘for the reason that...’ Instead, be short and sweet by using phrases such as ‘due to’, or words such as ‘ because’ or ‘since’. Avoid vague references, for example, ‘the project is intended to...’ or ‘it seems that...’ Be definite, for example, ‘the project will’ or ‘it is’. Safety Engineering has offices located in all states in Australia. So What? ADD – that are located within 30 minutes from your offices which will result in reducing unproductive travel time between offices. The broad sweeping statement that makes you feel good! Motherhood statements are broad generalisations that provide a high-level description of a particular situation without saying anything specific. Specifics again – what evidence does such a statement provide which would justify a high score? Assessors want to see evidence, not just fine words. And then there is jargon! First, we need to establish what ‘jargon’ is. Jargon is the ‘in’ language of a profession. It is all those words used by people in a particular industry that the rest of us don’t understand. It is a legitimate language used within a profession or industry to convey meaning to that profession or industry. Jargon has its place – in specialised fields it is meaningful. In less specialised fields it smacks of self-importance, and loses people who don’t understand. It becomes gobbledygook. Graphics are not there to be pretty. Show, don’t tell - Graphics can do a lot of the grunt work in getting your message across. The point of the graphic is to enhance the text. If the graphic takes over, that's fine, but it's overdoing the required job. Graphics are there to do some hard work! Graphics Reduce Risk – a diagram or photograph of what you are delivering will help clarify other questions the Assessors might have, help reduce the risk and increase the like factor. “Before and after” photographs emphasise the benefits you are delivering. Don’t forget the Captions – tell them what the graphic is. More risk reduction. Pictures draw attention to your story and help convey your message. Judicious use of graphics is a sure-fire way to grab your reader’s attention. And by judicious use, I mean good quality, carefully chosen graphics with clear, explanatory captions; not a bunch of stock photos that you paste in to fill up a page. There's one place in particular that I like to use a picture, and that’s on the front cover! Use a picture of specific relevance to your proposal. It tells the Assessors before they’ve read a word that you are in this game, that you have experience, and can do the job. It puts that first tick into their mind, and they haven’t yet read a word! The perceived value that you are offering your prospective customer will ultimately determine whether your proposal is successful or not. But compelling graphics are the hook that will grab your reader’s attention, enticing them to read the helpful caption or, even better, the entire surrounding paragraph or page. That is exactly the reaction you want from the person evaluating your proposal. Remember that same person may have to read many, many other proposals as well as yours, so you need to use every weapon in your arsenal to draw their attention to you, and only you. But don’t overdo the graphics. While judicious use of relevant graphics can add enormously to the impact of your proposal documents; don’t get carried away. If a graphic helps to illustrate a point, show off your equipment or demonstrate a technique etc., then use it. If not, leave it out. Simple. Support your expertise with a well-presented and well-written submission. Put ticks in the Assessors mind from the cover of your response, and on through your submission. Could your Tender Presentation Responses be Improved? I have an upcoming online course, TenderWins, a 4-week intensive course designed to help you win more tenders, without the stress and time issues that currently hold you back! Presentation is a key element of the course. You know your reaction when you get a badly written document – your thoughts are negative from the start. Think really hard about this one. Show through the presentation of your tender or quotation that you are ahead of the pack. And your words, fonts, headers and images are confident, show leadership, and inspire confidence. Leave people feeling inspired. Your presentation has a role to play. It is important. What will your proposal look like, visually that is? And how will it read. Does it get your message across? Does your presentation make it easier to read? If it is easier to read, then your communication will communicate. This is not about a big glossy document. It is about the ease with which the Assessors can read your response. If it is difficult for the Assessors to read, they are going to have an increasingly negative mind-set as they review your response. Put yourself in the Assessor’s shoes. Make it easy for them. Good presentations reduce the risk in the Assessors mind. It makes them more comfortable with the response and the ability of the company. Are there other things you might need to do, other than wining and dining the prospect? Can you make it easier for them to assess what you have presented? Now there’s a clue – What are you presenting? Visual presentation is important, as is how will it read. If the way your industry does things is a simple “price, quality, delivery” quotation here is your chance to make yourself different, and stand out. The quality of writing makes a difference. Poor writing may mean that you don’t get your key messages across. Not everyone can write well. That is nothing to be ashamed of; we all have different skills. Don’t be afraid to bring in a good writer if that will make a difference. I’ve seen in large organisations people whose sole job was to write bids and proposals. In fact, that ended up as my responsibility in my aerospace industry days, along with the responsibility to negotiate the contracts. Good writing skills make a real difference. Tenders should be written in a way that is straight forward, professional and positive. Present your case in an engaging and compelling way. 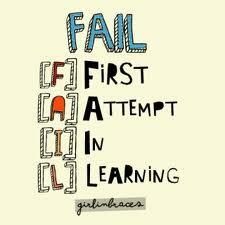 And write with the Assessors in mind. Writing skills are critical in tender writing; contracts are often lost on the basis of poor writing that is unclear, illogical and fails to get across the key messages of the offer being made. Keep your writing — not your ideas — simple. You're often trying to get across complex ideas to your reader. Don't make his life more difficult by using complex language. I’ve been involved the judging of our regional business excellence awards and have been struck, yet again, by the way poor skills in writing and presenting their case considerably reduce business’s chances of winning. Some wonderful businesses have entered with a good story to tell. But they don’t tell it well. And they make reading their entries difficult for the judges. You might say, “we aren’t entering awards so this is of little interest to me.” But it should be. Why, because the same skills needed to write a winning entry are those you need to write winning sales letters, quotations, proposals and tenders. They are the same skills you need to write content for your website, for your advertisements, for…. More than ever, today small business owners have to write. And the words you use, and the way you use them, can either attract or repel customers or, for that matter, get your staff offside. I’m not concerned about writing grammatically correct sentences, although that does help. What I am concerned about is writing in a way that communicates, that has an impact, that makes your business stand out, that builds relationships with your customers and your staff. You need to write in a way that is engaging if you want people to read it. If they don’t read your advertisement, or your webpage, or your proposal doesn’t capture their attention, customers will be going to your competitor, not you. Tight copy uses the least number of words to get your idea across. It’s easy to understand. It’s conversational and natural sounding. And, it doesn’t contain glitches that make your reader stop, scratch his head, and wonder what you meant. In short, tight copy is readable. Readability isn’t the only quality of tight writing, but it’s one of the most crucial. If your writing isn’t easy to read, it gets tossed. Sorry! And how, together, they help turn your tender, quotation or proposal into something almost irresistible. I have an upcoming online course you can do at your own pace - TenderWins, a 4-week intensive course designed to help you win more tenders, without the stress and time issues that currently hold you back! Presentation is a key element of the course.